Square D I-Line™ Extra-high interrupting 3-Pole molded case circuit breaker is rated at 400-Amps and 600-Volt AC. Interrupt current rating of this circuit breaker is 35-Kilo-Amps. 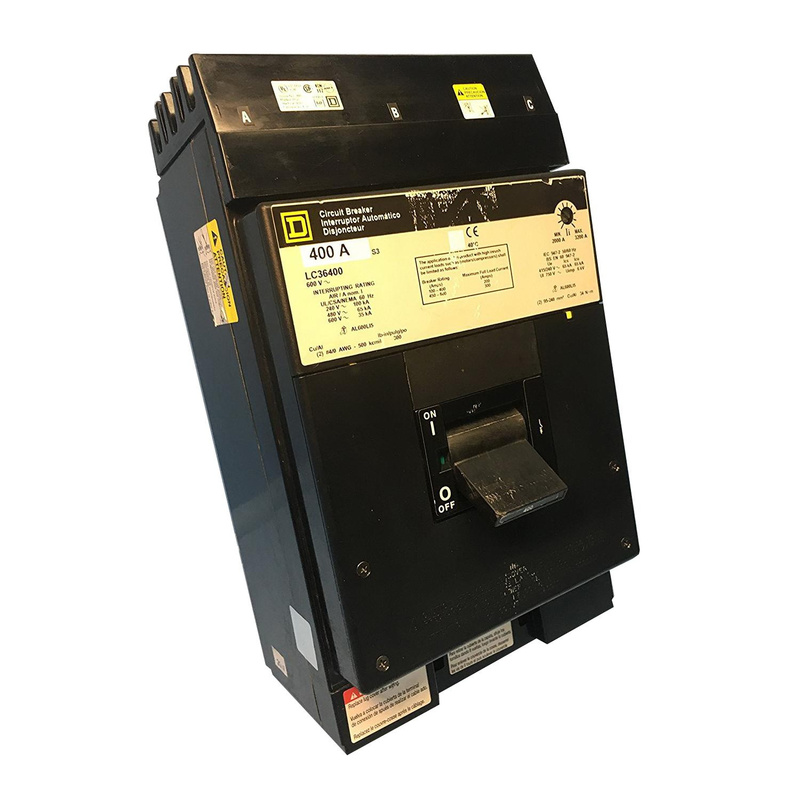 This 3-Phase L-frame circuit breaker accommodates two aluminum wires of size 4/0-AWG - 500-KCMIL. This circuit breaker features LI and thermal-magnetic trip function to ensure reliability. It supports I-Line style plug-in mounting.